Our pre-printed bootlace style NHS lanyards are a hard wearing, yet great value lanyard. These neck straps are printed with the text NHS along the length of the lanyard and are manufactured to the same high quality standards as our custom lanyards. Available for same day dispatch when your order is completed before 2pm and sold in packs of ten NHS lanyards. 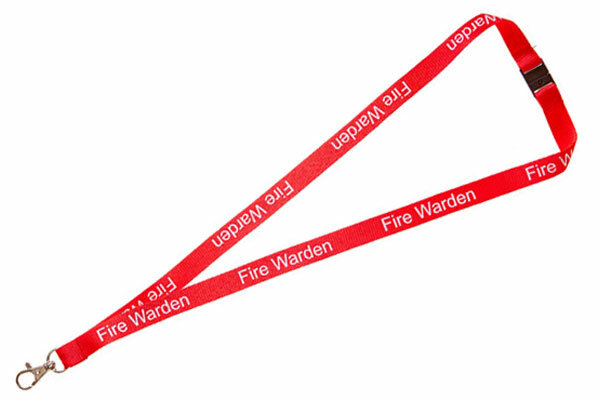 Our NHS lanyards are also available with multiple safety breaks. 1) Orders for NHS lanyards must come from an NHS email address. 2) Payment must come directly from an NHS organisation. 3) Delivery must be to the address of an NHS organisation. 4) The NHS logo must be used in accordance with the NHS Brand Guidelines - we can advise as to meeting this requirement. If you need a specific colour, design or text on your lanyards, please take a look at our custom lanyards. *NB: NHS Lanyards may only be ordered by an official NHS organsiation from an NHS email address.